It’s better to bust a bracket than to break a hip. Sister Jean Dolores Schmidt will attest to that. 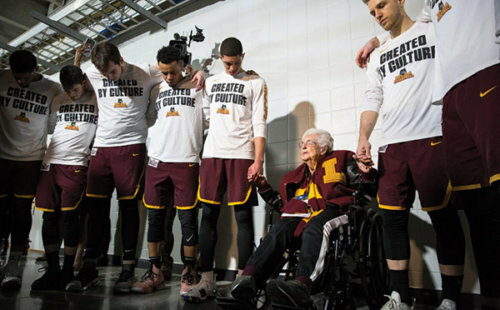 The 99-year-old chaplain for the Loyola Chicago men’s basketball team fractured her hip at the start of last season and went on to gain national attention with her pregame speeches and prayers as the small school scored a number of upset victories to reach the Final Four of the NCCA Tournament. Sister Jean’s team knocked off Nevada, another surprise school in the tournament, in the round of 16. Tuesday night, the schools will have a rematch, this time before a sellout crowd in Chicago’s Gentile Arena. 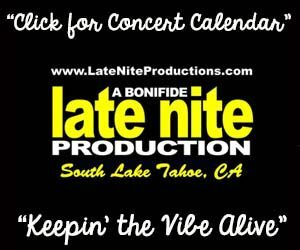 “When I saw the name Nevada on our schedule, I thought, ‘Oh my!’ I am sure they really want to get this game,” Sister Jean told Tahoe Onstage on Monday. Nevada won the second-ever meeting between the two schools, 79-65, on Tuesday, Nov. 27. 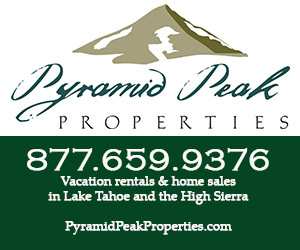 The Nevada Wolf Pack are 7-0 on the season and ranked No. 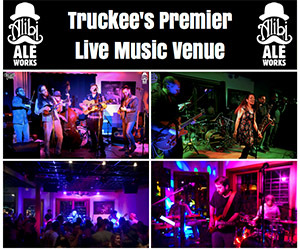 5 in the nation by The Associated Press. They start five seniors, including All-Mountain West Conference selections Jordan Caroline and twins Caleb and Cody Martin. The Loyola Ramblers are 4-3 and are led by point guard Clayton Custer, the Missouri Valley Conference Player of the Year, center Cameron Krutwig, the MVC Freshman of the Year, and guard Marques Townes, who made the decisive three-point shot with 6 seconds remaining in his team’s 69-68 win against Nevada in the Sweet 16 game. 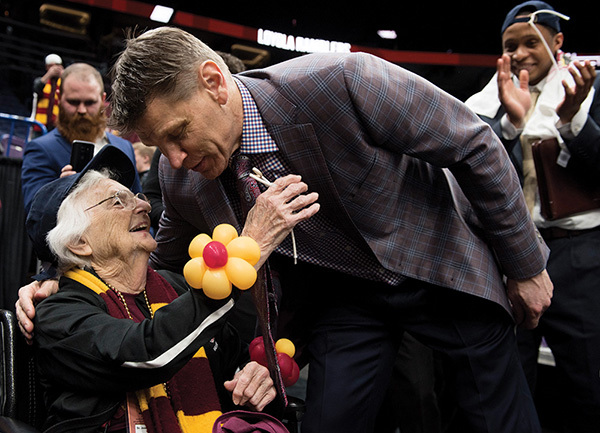 Sister Jean’s acclaim grew before last year’s Sweet 16 game after she was interviewed on national television by Nevada coach Eric Musselman’s daughter, Mariah, a second-grader at the time. Mariah was the first person Sister Jean mentioned during her interview Monday. Sister Jean has been with the religious order of the Sisters of Charity of the Blessed Virgin Mary for 81 years. She came to Loyola Chicago in 1961, two years before the school’s basketball team won the national championship. Last year marked the Ramblers best season since then, and Sister Jean admits her school advanced further than she expected. “I had them losing in the Sweet 16,” she said. “When they went to the Elite Eight, they said, ‘Sister Jean, they broke your bracket.’ I said, ‘Well I had two brackets. One where I had you going to the top and the other one coming out at the Sweet 16.’ Anyhow, the whole thing amazed me. “When we were in Dallas and I woke up the morning after the first game I said this is for real. There is no dreaming about it at all, so get going. From then on, my life has been different in that I have had so many people honoring me. 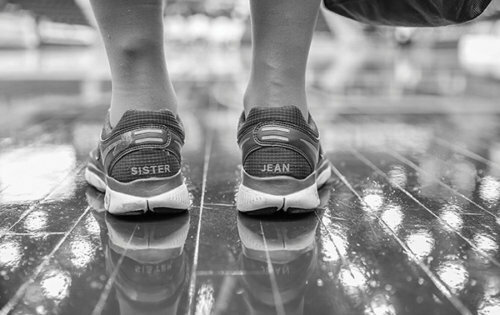 National attention is new to Sister Jean, but she’s been around basketball her whole life. A native of San Francisco, she played basketball in high school. Other than summertime ball at Sisters of Charity of the Blessed Virgin Mary in Dubuque, Iowa, Sister Jean’s playing days ended after high school. However, she started three basketball programs at elementary schools in the Catholic Youth Organization. “Everybody feels bad when they lose a game, but it’s important that they realize that everything isn’t going to be ice cream and apple pie,” she said. “That’s what I think coaches need to help them through. Sometimes parents become little children by being overbearing with them and wanting them to win all the time. 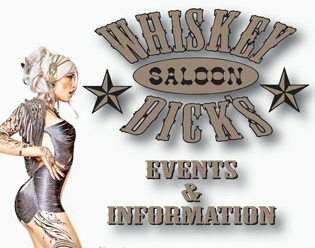 That’s not going to happen. She said this year’s team is doing well. It has three highly regarded freshman who have had playing time. Sister Jean said the older players have taken them under their wings. “I know those first couple of games on the university court were nerve-racking for them,” she said. “They rose to the occasion and pitched right in and did what they were supposed to do. I’ve never seen any of those young men pout or be upset because (Moser) takes them out of the game. He’s taking them out because they need a little rest. That’s what we’ve seen this year. Sister Jean doesn’t travel to away games, but will do so if the Ramblers make it to the NCAA tourney again. The media has picked Loyola Chicago to win the Missouri Valley Conference. She is still recuperating from her hip injury. She said he does rehab exercises two hours a day, six days a week.